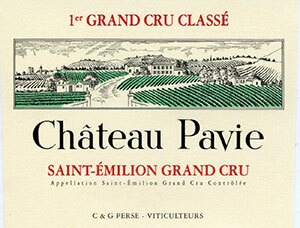 The 1999 Pavie is a candidate for "wine of the vintage". It boasts an opaque ruby/purple color in addition to gorgeous aromas of crushed minerals, smoke, licorice, cherry liqueur, and black currants. The wine is exceptionally pure and multilayered, with stunning texture and overall balance. The tannin level suggests 3-4 years of cellaring is warranted; it should age gracefully for 25+ years. If readers are wondering why Pavie has become so much better under the administration of Chantal and Gerard Perse, keep in mind that yields are one-third of what they were under the previous owners.